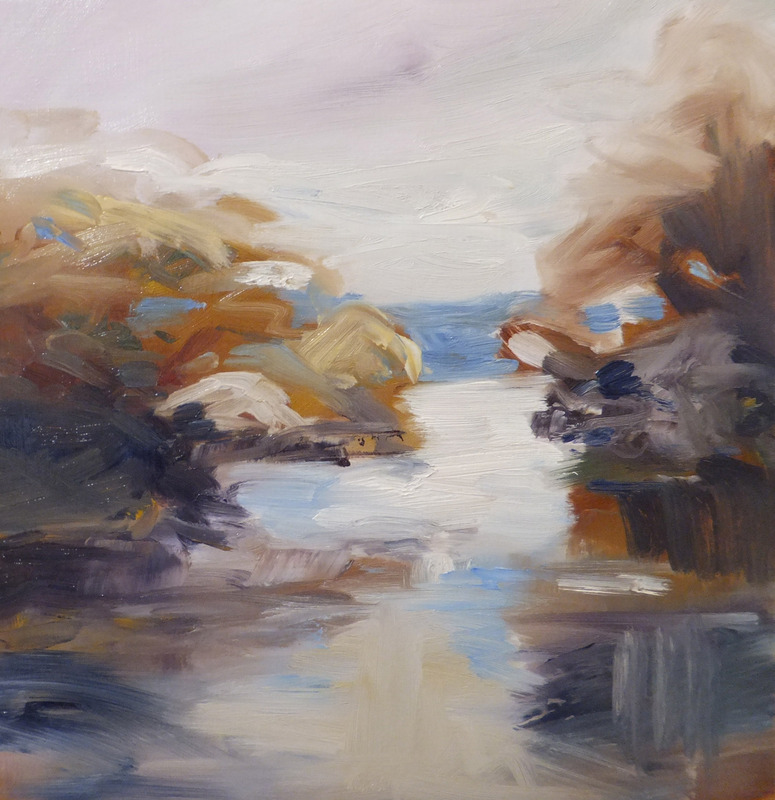 In the final year of her Degree in Fine Art Shelagh Lummis is revealing a kinship with regard to her medium and technique. 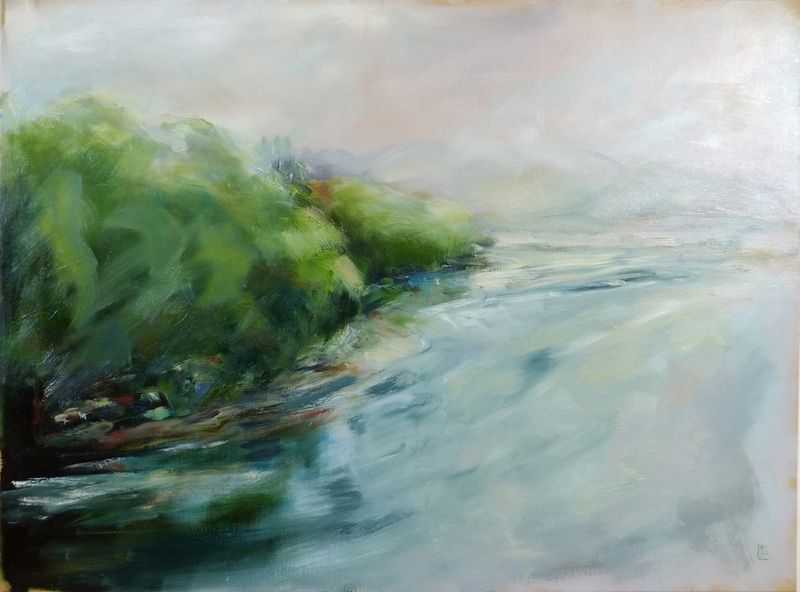 On exhibit at Watt Space Gallery until March 10th is an extensive collection of her landscape paintings. Her technique requires a certain preparatory discipline as the utilising of all natural oils and egg emulsion is a time consuming method. This control of her materials welcomes an affinity and response that resonates in the completed artwork. 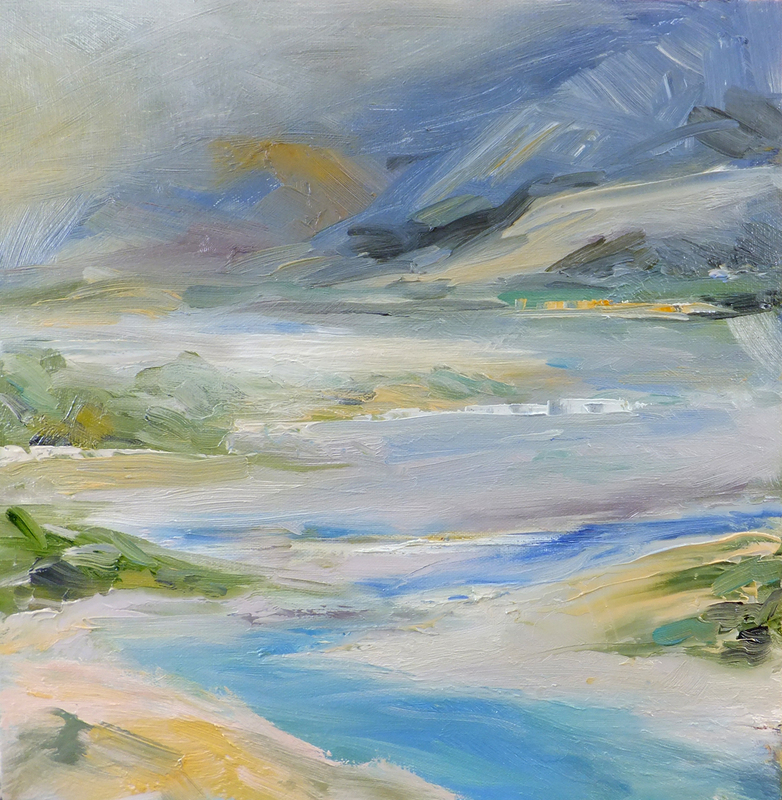 New Zealand, the subject of much of her work, presents as atmospheric, moody, peaceful, raw. Luscious and curious displays of gentle hues belie the reality of a threatening environment made desperate by its isolation. Thoughtful consideration of the inevitability of man’s path is less burdensome when sublime nature is revealed in this graceful manner. Limiting the dependency on photographs removes control, often the sanctuary of the “Sunday” artist. Subsequently freedom to express the artist’s emotional depth comes down to their ability to understand, manipulate and also allow the paint liberty to parade its unique quality and potential. Lummis is an artist demonstrating these principles. Resulting is an exhibition capturing extended movement and ethereal implications.